Aqauman's big box office success surely has folks behind-the-scenes at DC rethinking their strategy. And it could effect what we eventually get when it comes to the next Dark Knight installment that used to be called The Batman. Though, that's apparently not the title anymore. It looks like the next big screen adventure for Bruce Wayne will be called something completely different. What's the new title? We don't know yet. Warner Bros. has never actually confirmed that the movie was ever going to be called The Batman anyway. The standalone superhero adventure is still being directed and written by Matt Reeves, who took over those duties from Ben Affleck ages ago. It has never been confirmed if Affleck will even return to wear the cape and cowl again, after appearing in the disappointing Batman V Superman, followed by the disastrous Justice League outing. The movie formerly known as The Batman is reportedly shooting in November under a completely new title. So far, there has been no official news from the studio, and it isn't quite clear who'll pick up the mantle of the billionaire vigilante. The production sheet of this DCEU adventure is now simply calling it the Untitled Batman Project. It's suspected that the actual title will be revealed in the coming months leading up to the production start date. So far, fans aren't railing against the change too much. Less than 2 years ago, it was Ben Affleck who gave the new Dark Knight big screen adventure the title The Batman. But that was back when he was set to direct, and had written a draft of the screenplay himself alongside Geoff Johns. 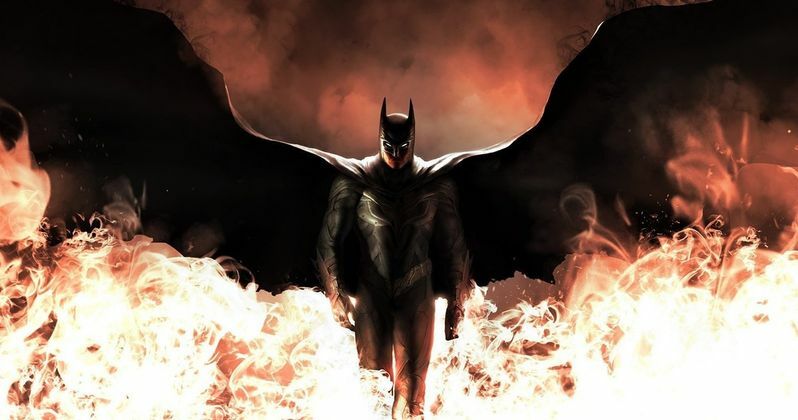 Matt Reeves never stated that the title would be changing, and seemed to be taking the movie down the game path Affleck and his team had already dragged it to. The story was supposed to follow an older batman, as seen in Batman V Superman and Justice League, but it's now rumored that Matt Reeves wants someone younger to play the role, and there had been murmurs that this was going to be called Batman Year One. Other films locked within the DCEU have simply used the title of the superhero, including Wonder Woman and Aquaman. Zack Snyder's Man of Steel is the only exception, but that movie was attempting to remove itself from the sting of Bryan Singer's Superman Returns a few years earlier. Some are now wondering if this new Batman movie will follow suite. The Dark Knight doesn't seem like a contender, since Christopher Nolan's sequel of the same name is such a touchstone for the comic book genre as a whole. It is suspected that Reeves and his team will come up with something that is associated with Batman and his Bruce Wayne alias. What that will be is anyone's guess at the moment. But Disney has gotten a lot of momentum off the title guessing game as of late with the Avengers 4 title Endgame only being revealed with the big trailer release, and it looks like they will do the same with Star Wars 9. Will we have to wait until the United Batman Project gets a trailer to learn its true title? Perhaps. It's possible that this next Batman movie isn't even set within the DCEU, instead taking place in the same multiverse as Joaquin Phoenix's Joker. This news comes from Daniel RPK.